Nail salons, like so many areas of the beauty industry, are unregulated and, as the number of salons increases, so do the number of claims for negligence in particular fingernail extension claims. 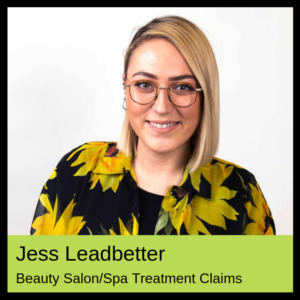 If you suffer injury as a result of the poor application or removal of fingernail extensions while at a salon or spa then we can help you claim the compensation that you deserve. The use of fingernail extensions is not in itself dangerous however the acids and chemicals that are used as well as the actual physical act involved in attaching and removing such can lead to infection, injury and long-term damage. allergic reactions to the chemicals/glue used due to a lack of patch testing. If the skin around the nail is cut or broken during the procedure it can allow bacteria to enter under the nail leading to infection and inflammation likewise a failure to use sterilised equipment can lead to infection and bacteria being passed from one party to another. What it will cost to make your fingernail extension claim. 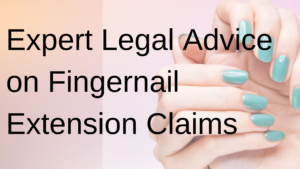 Our legal team has the expertise, experience and knowledge to advise you on the chances of a successful fingernail extension claim and what can be done to ensure that your rights are protected. We can advise you as to your options. If we think you have a good case we act for you on a no win – no fee basis. We will look to claim not only for the pain and inconvenience you may suffer as a result of the injury/infection but also for all and any financial losses that may arise as a result. Starting your fingernail extension claim.